→How Much Fat Should You Eat On Keto? 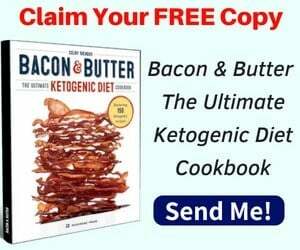 Many assume automatically that the keto diet is incredibly high in fat, and this is also what scares some people away from it and makes them not want to try it out. Is that actually true, though? What’s the amount of fat you should be eating on keto? 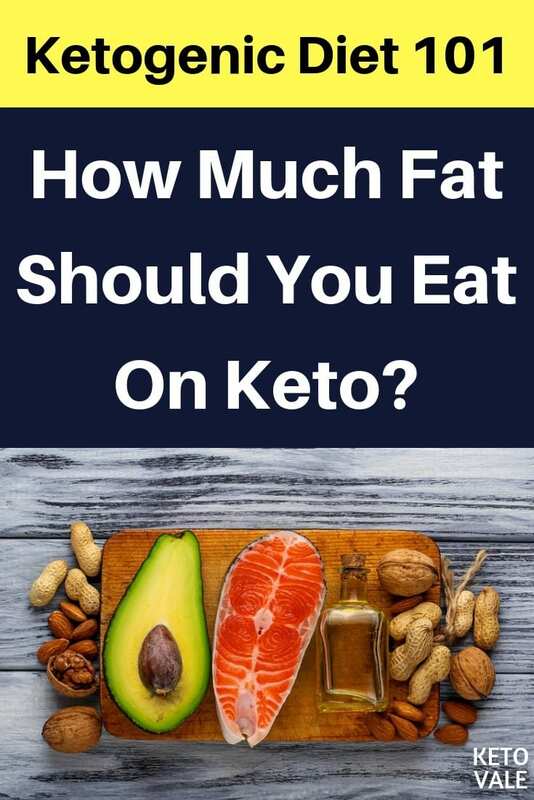 The truth is, how much fat you’ll be eating while following a ketogenic diet entirely depends on your goals and on your personal circumstances, and there isn’t one straight answer to this question. We will, however, guide you through the process of figuring out how much fat you need to be consuming, given your personal situation. Before we begin, keep in mind that any online calculator or article on macros is giving you a general idea of the principles that are behind successfully calculating your macros, and that any result you get from a website (or based on the information in an article) will be just an educated guess and an estimation. You should always be open to correcting it with time, if necessary. After all, it’s only an approximation, which you can use as a basis for yourself, and is created considering what people with bodies similar to yours and in your age group are burning, and how much they need to eat in order to lose. Nevertheless, no website can know exactly what YOU burn in particular and what your precise circumstances are. It might turn out that you’re actually burning more than what you were expecting, or you might as well be burning less. Observing your body in the long run and adjusting your macros as necessary is an important part of dieting. Have you noticed how different online calculators tend to give you very different results? Exactly our point. There are plenty of different formulas that are used, and for now it’s difficult to determine which one is the gold standard. So, back on topic – when you’re doing keto, you’re following specific macros; “macros” refers to the macronutrient composition of your food, and they’re either protein, carbs (net carbs + dietary fiber) or fat. Today we’ll be looking into the fat macro and its importance for a well-formulated ketogenic diet. Isn’t The Ketogenic Diet A High-fat Diet? “High” in the sense “higher than most weight-loss diets”, yes, it is. High as an absolute value, not necessarily. “High” as in “higher than what you were previously consuming” is likely true for many readers. Nevertheless, if you’re coming from a background of systematically overeating on highly processed, super palatable foods, which are often very high both in carbs and in fat, the ketogenic diet might also not be that high-fat for you, either. 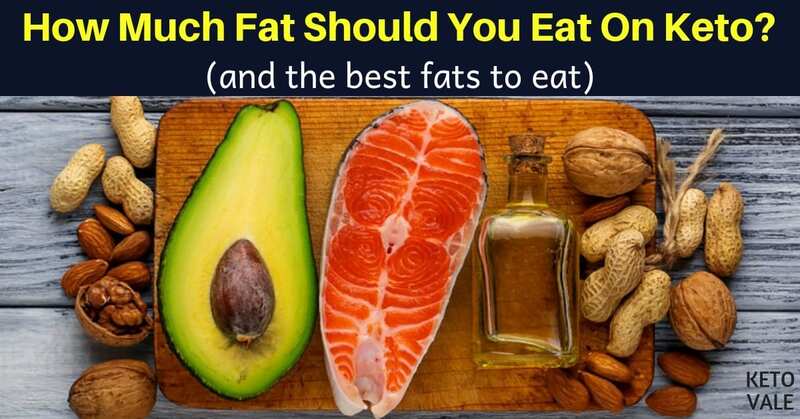 Fats are super important on keto, because they’ll provide you with energy. Fats will be your fuel source instead of carbs, and in order to nourish your body adequately, you’ll need to make up for the carb calories that you’re no longer consuming. Additionally, fats will keep you full and satisfied, and they’re particularly good at that, together with protein. What happens if you don’t eat enough fat on keto? If you are not eating enough calories, you might experience issues such as hair loss and even weight loss plateau (if you’re starving yourself). 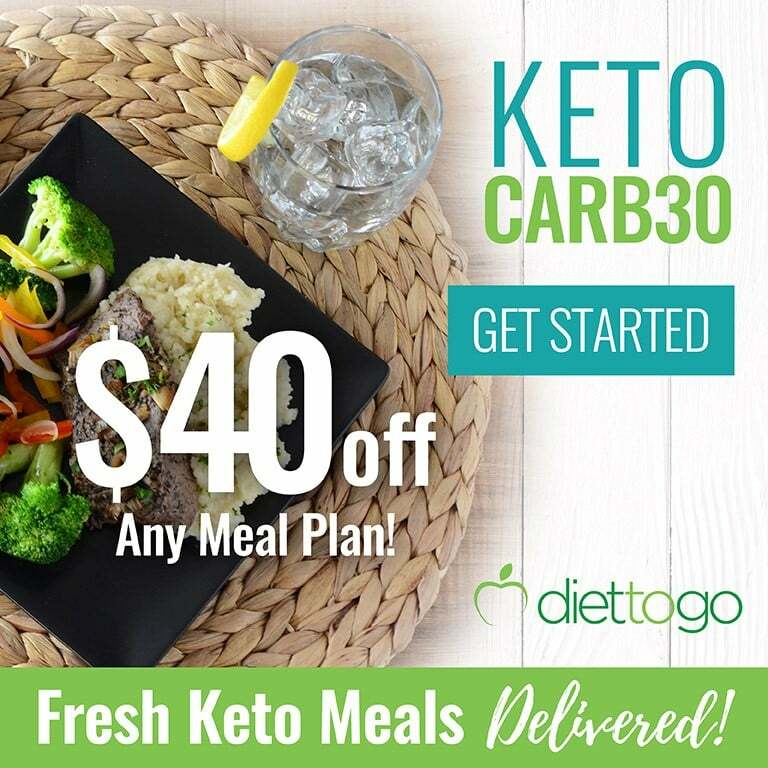 Nevertheless, the main principle of keto is not about consuming lots of fat, it’s about consuming very little carbs – 20-25 g net carbs a day, to be precise. This makes the keto diet a low-carb diet above everything else, rather than a strictly high-fat one. 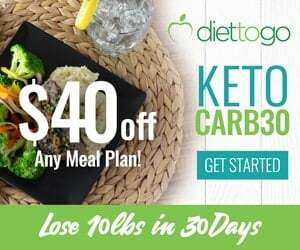 Keeping your carbs low is a must in order to get in ketosis, and a necessary pre-requisite to do a ketogenic diet – if you’re not staying in ketosis, you’re simply not doing keto. The fat macro, however, is not associated with such specific values, and will actually depend on each individual’s caloric needs. Which is why you need to calculate your macros, and spend some time trying them out, and, if necessary, correct them afterwards. Isn’t the ketogenic diet a low-to-medium protein type of diet, though? Not really. Again, it all depends on the context, on your body composition and on your goals. Protein needs to be sufficient in order for you not to lose muscle mass. When people say they want to lose weight, in 99% of the cases they actually mean that they want to lose fat in particular, and not just any weight. If your goal is to look healthy and fit, and not just what is commonly referred to as “skinny fat” (i.e. being skinny and unfit, with problem areas such as belly, hips, etc. ), you need to preserve your lean mass. In order to lose fat and not muscle, one of the most important conditions is to A. be in a caloric deficit and B. eat adequate protein. “Adequate protein” is a range between 0.68 to 1 g per pound (or 1.5 to 2.5 g per kg) of lean body mass (LBM) – if you’re currently at 200 lbs of body weight and 35% body fat, your lean body mass is 130 lbs, and you should be consuming between 88 and 130 g of protein daily. Sounds hard? Read this guide on how much protein you should eat on keto for more explanation. If you’re physically active, and especially if muscle maintenance and building is important for you, we recommend aiming for the higher end of the range. What does this all have to do with fat, you might wonder? Well, fat is the rest of the equation. Remember, there are 3 types of macros – carbs, protein and fat. If you have already figured out how much protein and carbs to consume, figuring out your fat macro is the easiest part. How Do You Figure Out How Much Fat To Consume? Simply put, fat will be the macro that will be responsible for the rest of your caloric needs, after you figure out protein and carbs. In order to know how much fat you should be consuming, you need to know your maintenance calories, and to figure out the deficit you’d like to work with. There are plenty of online calculators who’ll give you an estimation of your daily caloric needs, based on your weight, height and age, and it’s best to use their base values by not adding calories burned through exercise to your total daily expenditure. Once you have your maintenance calories figured out, you’d need to decide what your deficit will be. Yes, you’d still need to eat a calorie deficit on keto to lose weight! Aiming for a deficit of 10 to 25% of your daily calories is a good starting point. More than 25% deficit will be difficult to maintain in the long run and taxing on your body and mind. After that, you need to know that each gram of carbs or protein contains 4 calories, while each gram of fat contains 9. So, let’s say that your maintenance calories are 2,000 calories, and that you decide to go with a deficit of 20%. This would mean that your target calories should be at 1,600 calories (2000 – 20% = 1,600). Your carbs are at 25 g net carbs per day, which comes at exactly 100 calories. Assuming that you’re active and the protein you need to consume is 100 g, this adds another 400 calories. 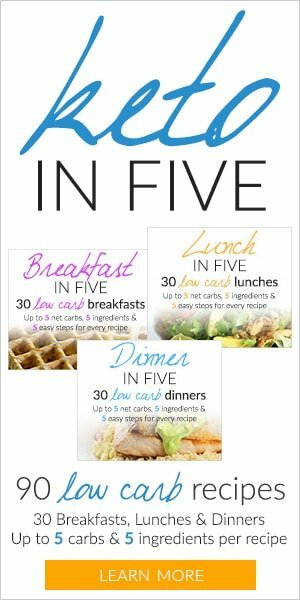 Up to now we’re at 500 calories, and you have 1100 “free” calories that you still need to consume in order to properly fuel yourself – these will be your fat calories. 1100 divided by 9 leaves you with 122 g of fat. In terms of percentages, this would make 6% carbs, 25% protein and 69% fat. If you don’t like maths, just simply use this keto calculator to find all your macros. So there you have the right way to calculate your fat macro. This is, of course, just an example that we’re using to illustrate how the fat macro should be calculated, and you need to actually do the calculations for yourself and based on your caloric needs and goals in order to figure out what your personal macros are. Fat is a lever, though (remember that saying “carbs are a limit, protein is a goal, fat is a lever”?) – you don’t need to actually hit your fat macro every day, especially if you’re not hungry. Use fat to keep yourself full and satisfied with your meals. 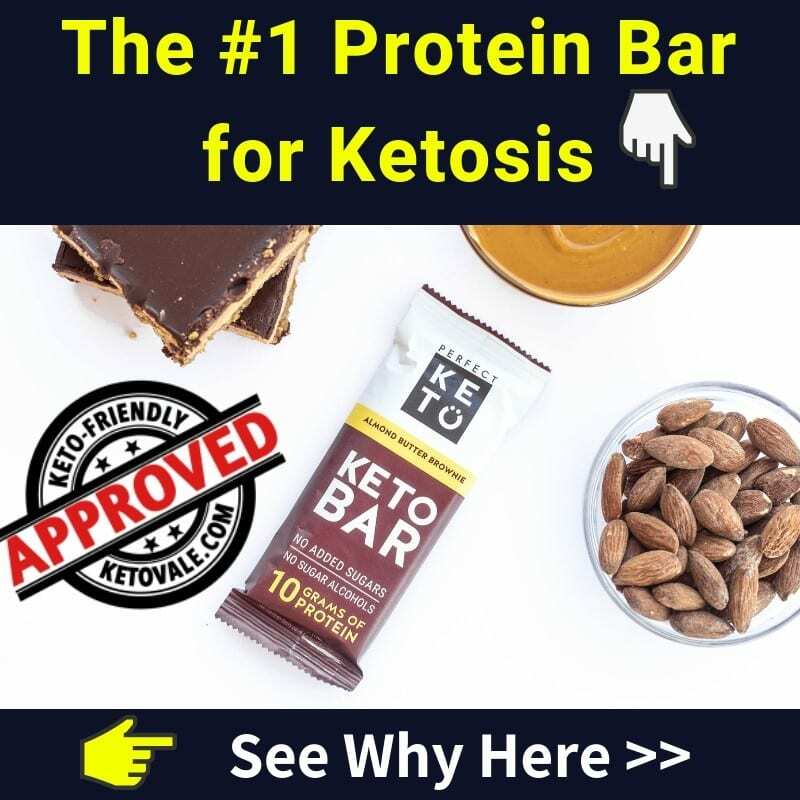 On keto, your body has a better access to your body fat stores, and won’t be shy to use them, and many people find that keto suppresses their appetite (which is one of the reasons it works so well). So if you’re in that boat, just make sure that you’re not systematically undereating, but if you’re not always as hungry as to meet your calories, no biggie. Eat enough protein to sustain yourself, and keep your carbs low – the fat macro should be your tool to help you not feel hungry all the time. (Some hunger is normal when dieting, though. There’s no way around that). If you’re stalling for more than 3 weeks at a time, you might wish to reconsider your daily calories, and recalculate them, if needed. Moreover, at each 5 pounds that you lose it’s good to recalculate your caloric needs, as they get lower as you’re losing weight. With all of that being said, if you’re doing the ketogenic diet in order to control and manage epilepsy or a similar condition, please note that in this case your macros will likely be different and that your protein will probably be lower. If this is your case, we recommend getting assistance from a healthcare professional and doing keto under his/her guidance. What Are The Best Sources Of Fat For Keto? Don’t fear saturated fat – there is no need to avoid animal fat, as it actually has numerous benefits and is an essential part of a healthy lifestyle. If you’re eating lots of animal products, such as meat, eggs, fish, and dairy, you’ll be consuming fat with them. Butter and ghee can be used for cooking, as well as lard and tallow. As for dairy, go for low-carb options – yogurt should be kept to a minimum, but cheeses and cream are great for keto (given that you track them properly and do not overindulge). Other good sources of fat for keto are minimally processed fats from plants such as avocado, olive and coconut. Olive oil is excellent for salads, while coconut oil is more heat-stable and can be used for cooking. On the same note, olives and avocado are excellent fat sources on their own, too. Coconut meat is slightly higher in carbs – 6 g net carbs per 100 g, but if you make place for it in your macros, you could definitely have some! Other healthy fats such as Omega 3 Fatty Acids and Medium Chain Triglycerides (such as MCT Oil) should be included in your ketogenic meals. Nuts are another good source of healthy fats. Just keep in mind that nuts are very caloric (upwards of 500 kcal per 100 g caloric) and that these calories quickly add up, so for best results track them and be precise. By the way, have you ever wondered why the macros of a 100 g of given food hardly ever add up to 100? For example, a 100 g of salmon has 7.3 g fat, 21.9 g protein, and 0 carbs. So what is in the other 70 grams? Water! Fats that you want to avoid are the highly processed vegetable oils, such as soybean oil, canola oil, corn oil, and the like – these have no place in your diet, and usually have a horrible omega 3 to omega 6 ratio. Margarine is another no-no. 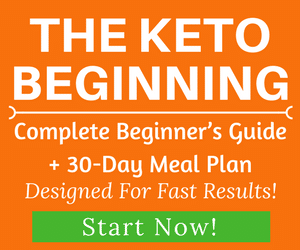 Now that you know how to calculate the amount of fat you should be consuming on keto, there’s nothing holding you back to begin your keto journey today – go ahead and dive in, head first! As you could see, you don’t need to consume ridiculous amounts of fat in order to be successful with keto – actually, it might be just the opposite, based on your body composition and on your goals. Calculating your macros as percentages doesn’t take your personal situation into account, and is generally much less precise. For the best results, aim to limit carbs, hit your protein, and use fat as a lever to keep you full. Have you already figured out your macros? How much fat should you be consuming, according to your calculations? Share your experience with us – we love hearing from you!